When a softer, more intimate sound is needed on your drums, brushes are the way to go, and Pro-Mark has the exact set to fit your needs. 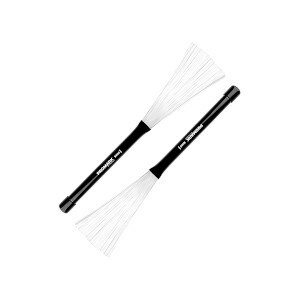 The Pro-Mark B-600's featured here are telescopic brushes with retractable nylon bristles that won't bend out of shape. The B-600's are manufactured in the U.S.A., and will provide a lifetime of that unique NyloBrush sound!